Sony Pictures Television and AMC have just released the teaser for Better Call Saul season 3. The Breaking Bad spinoff will return with another 10-episode season, helmed by returning showrunners Vince Gilligan and Peter Gould. While an official release date has not yet been announced, the new Better Call Saul season 3 teaser promises a spring start. Better Call Saul season 3 will be executive produced by Gilligan and Gould alongside Mark Johnson (Breaking Bad, Diner, Rain Man), Melissa Bernstein (Breaking Bad, Rectify, Halt and Catch Fire) and fellow Breaking Bad alum Thomas Schnauz. 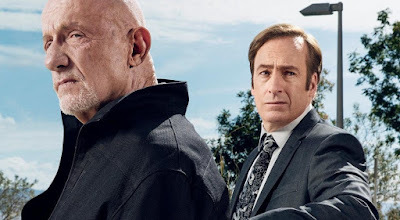 Better Call Saul was nominated for seven 2015 Emmy Awards, including Outstanding Drama Series, Outstanding Supporting Actor in a Drama Series for Jonathan Banks, and Outstanding Lead Actor in a Drams Series for Bob Odenkirk, who also received SAG and Golden Globe nominations.